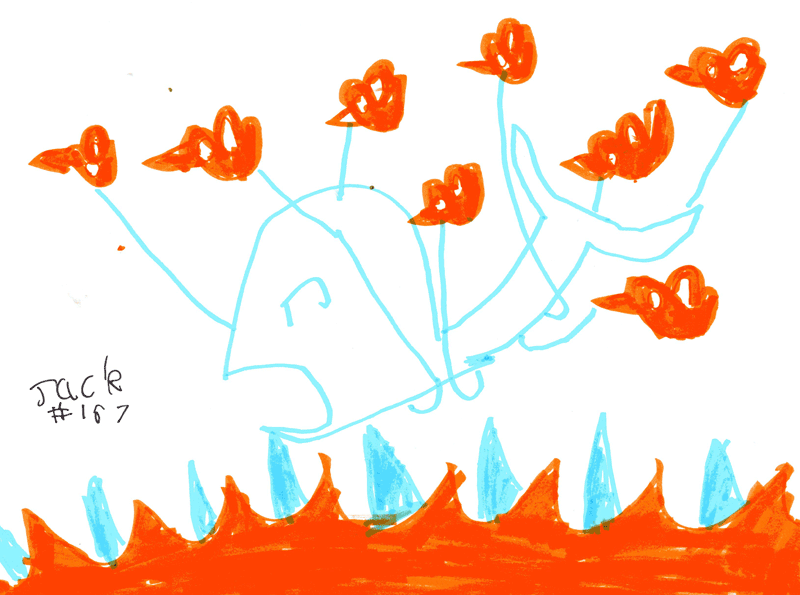 This is based on the original Twitter Fail Whale illustration shown below, used by Twitter and drawn by Yiying Lu. 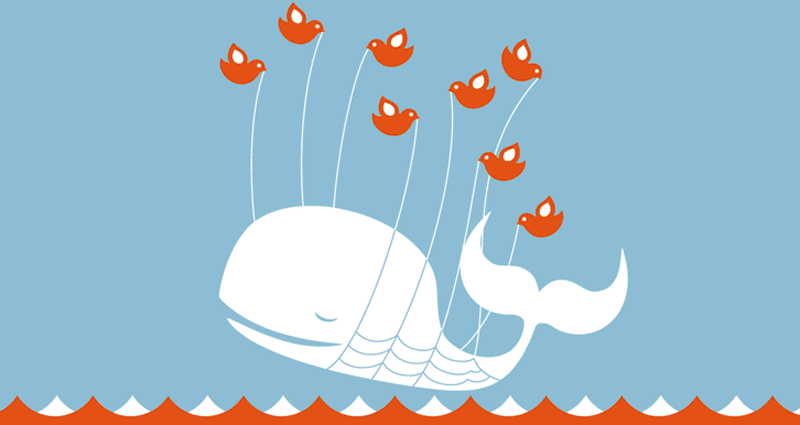 It is shown when Twitter is over capacity or is used to indicate something has gone wrong. Jack’s whale does look like it is in distress but I can assure you it is perfectly comfortable. No whales were harmed in the making of this picture.